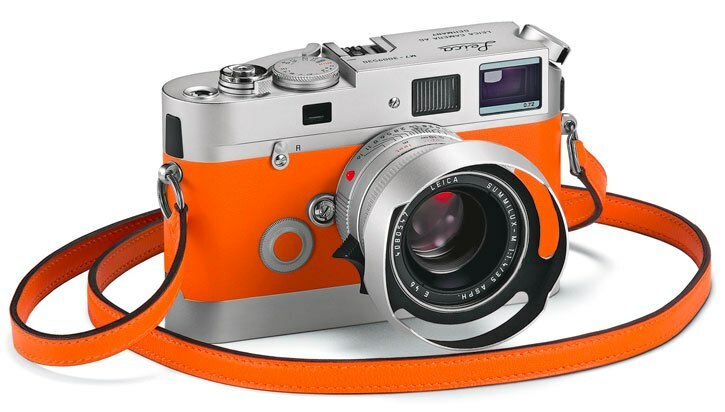 Usually we don't bother with stupid-high-end versions of gadgets, because they're retardedly expensive and usually garish and ugly to boot — but the recently rumoured Leica M7 Hermes edition is absolutely gorgeous and only slightly sillier-priced than the plain-jane M7 anyway. This very special limited edition of the M7 35mm camera comes in silver chrome with calfskin leather accents in two colours, orange and the mysteriously named "etoupe" [sic] . Brian likes the orange but I prefer the etoupe — the orange version seems like the one you'd take on a hunting trip, while the etoupe seems like more of a safari jaunt. What can I say, I love animals and Brian loves eating them.